Addiction is harmful to your physical and mental health and destroys relationships with family and friends. Taking the first step toward sobriety can be very difficult, especially when you do not know what to expect. Treatment that focuses on mind, body, and spirit is important for a healthy recovery. Activities promoting health and well-being will help with your healing process. Recovery from addiction not only helps your body, but also your mind. Addiction is a mental illness that changes the way your brain controls your body’s functions and chemistry. It creates an emotional dependence. Effective treatment teaches the brain to live without toxins. In rehab, you will learn to cope with stress, anxiety, and depression without using substances. Exploring fun, healthy activities will help occupy your mind, distract you from using, and promote wellness. 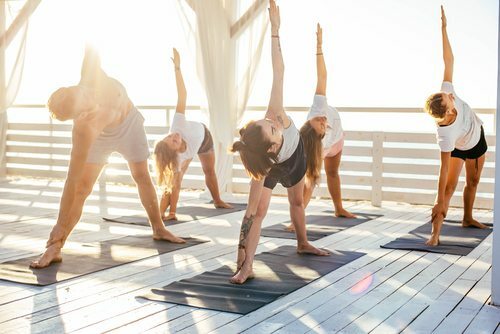 Healthy activities such as yoga, meditation, and exercise help to clear your mind to concentrate on recovery. Staying away from substances can be very difficult because your body is accustomed to living with the substances you used. Intense cravings and physical withdrawals make living substance-free more complicated. In rehab, your body will go through many changes. Many counselors and staff are recovering from addiction themselves and understand these challenges. They are passionate about helping you and want to see you successfully recover. Addiction robs your self-worth and ability to connect with others. It beats you down mentally, physically and spiritually. Rehab helps you discover more about yourself and restores your faith and spirit. Treatment will help you look inward and identify your strengths and self-awareness. Recovery renews your spirit and gives you the confidence, encouragement, and sense of self that you lost with addiction. There are treatment programs tailored to suit your unique needs. Rehab is a life-saving opportunity designed to renew your strength spiritually and in faith. Cypress Lakes Lodge uses a mind, body, spirit approach to recovery, which is integrated into a nurturing lifestyle. Addiction is hard to overcome, but is possible. You do not have to remain hostage to addiction. You will have the coping mechanism to avoid drugs or alcohol and use healthier, substance-free activities to live a happy, fulfilling life. You need help now. Do not wait. You are worth saving.